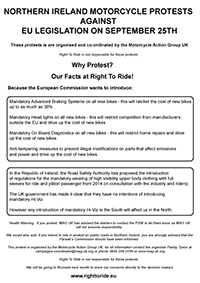 Our Facts at Right To Ride! 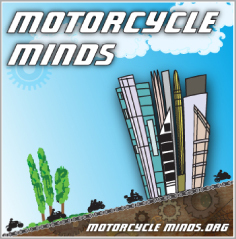 Anti-tampering measures to prevent illegal modifications on parts that affect emissions and power and drive up the cost of new bikes. 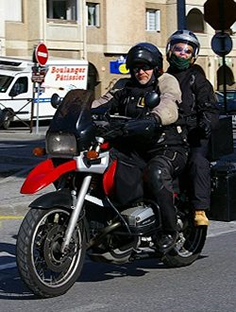 The introduction of regulations for the mandatory wearing of high visibility upper body clothing with full sleeves for ride and pillion passenger from 2014 (in consultation with the industry and riders). The UK government has made it clear that they have no intentions of introducing mandatory Hi-Viz. However any introduction of mandatory Hi-Viz in the South will affect us in the North. Health warning. If you protest, MAG UK has advised the starters to contact the PSNI to let them know as MAG UK will not assume responsibility. We would also add, if you intend to ride on public roads in Northern Ireland, you are strongly advised that the Parade’s Commission should have been informed. Right To Ride is not responsible for these protests. We will be going to Brussels next month to voice our concerns directly to the decision makers. Demonstration Against the EU – Have changed their demo point from the Belfast City Hall to Sainsburys garage Sprucefield which is near but not at the MAG UK start point at the Sprucfield Park And Ride.